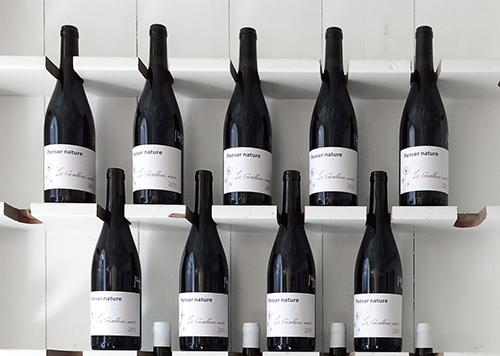 Surprise yourself with amazing local wine; Everyone wins! 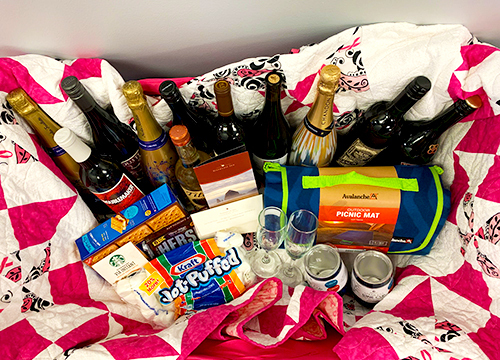 A chance to win a Pink Wagon filled with assorted wine and spirits, a 2 night at the Stephanie Inn with complimentary gourmet chef’s breakfast, $158 toward dining in the Stephanie Inn dining room, a picnic blanket, and more! 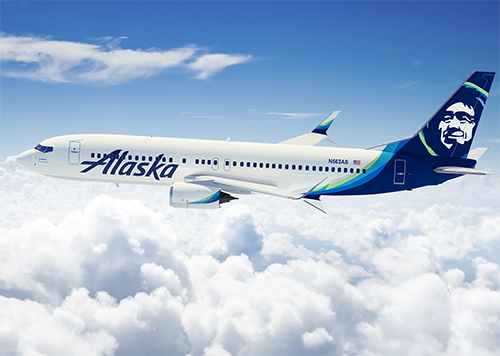 A chance for two coach class round trip vouchers valid on Alaska Airlines. No blackout dates apply. Expires April 9, 2020. Kama’aina translates to “child of the land,” so don your best Hawaiian attire and bring your Aloha spirit to this island-style buffet which will be barbecued and served at your “hale” (that is Hawaiian for your “house” for all you mainland folks). 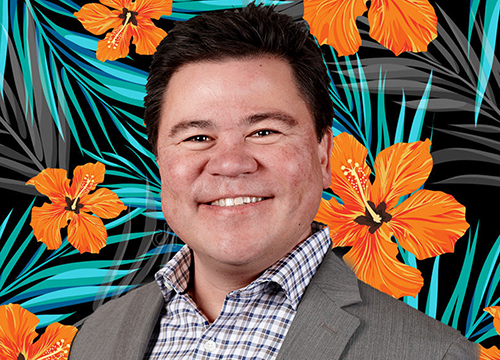 Prepared by Andrew Asato, your party of 15-30 people will enjoy the authentic cuisine of Hawaii, island-style. Savor the aromas and flavors of favorite local dishes of kalua pork, shoyu chicken, and ginger ono salmon, accompanied by yakisoba noodles with fresh vegetables, grilled pineapple skewers, and sticky rice. During the evening, Kathy’s own “halau” (hula dancers) will entertain your gathering with traditional Hawaiian dances and Uncle Roland (everybody is ‘ohana’ or family in the islands) will serenade you with his guitar and traditional island tunes. Perfect for an anniversary party, birthday bash, college send-off, or a plain ole’ gathering of your Ohana! Please contact well in advance for a mutually agreeable date and time. This offering expires March 2020. 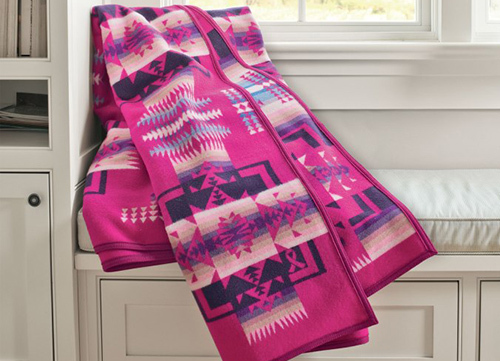 In honor of Breast Cancer Awareness Month, Pendleton USA designed this beautiful special edition cherry-pink blanket to support breast cancer awareness and treatment in Native American communities. Small ribbon design in bottom right corner. Swarovski Crystal Celebrate the Spirit Pin. Alexander Clancy gorgeous “PINK” python and Italian haircalf mini top-handle tote with bespoke gunmetal hardware and zipper closure. Interior detailed in python and features a zipper compartment, ID/card pocket, and an adjustable crossbody strap with a retail value of $1600. This series is part of a special “limited-edition” run that Alexandra Clancy produced to support the fight against breast cancer, and is not available for sale on our website or through our retail partners. 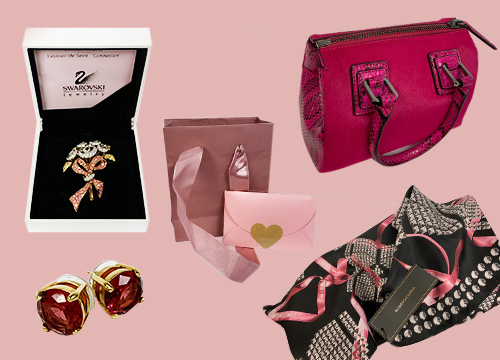 BCBG Maxazria Breast Cancer Scarf. This package includes two night stay in a deluxe king room with fireplace, soaking tub and balcony or terrace. 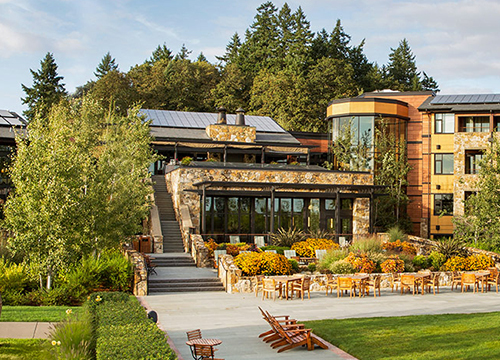 Dine and shop with a $200 gift certificate at award winning JORY restaurant. New Auction / Raffle packages will appear here each week!